Fisher Island describes both a neighborhood and the man-made barrier island on which it sits. Fisher Island is located 3 miles off the coast of South Florida and its exclusivity derives mainly from the fact that the only way to get there is by water, and access is only allowed to residents and their guests. 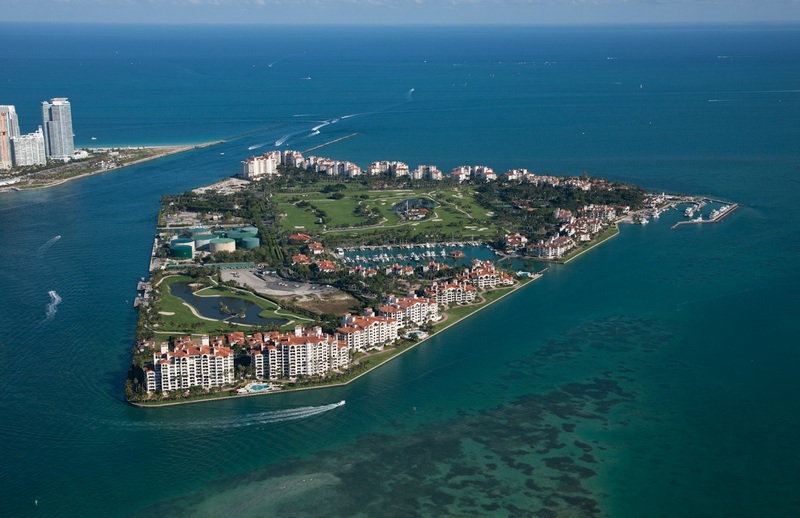 Fisher Island residents are noted as having the highest per capita income in the U.S., according to the 2010 census. High income individuals demand the ultimate in luxury living and this you will find in abundance on Fisher Island. 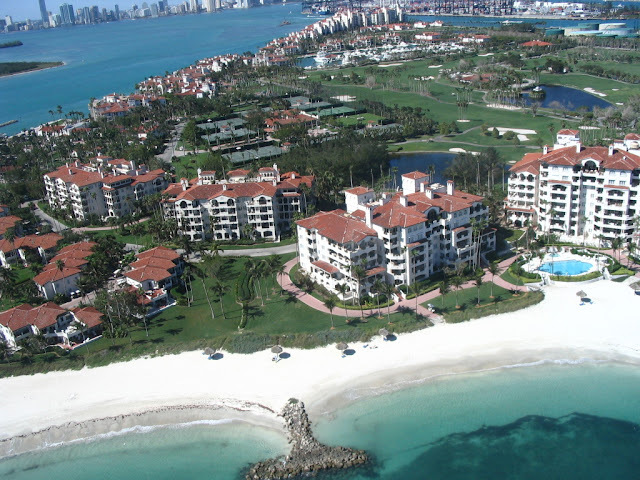 There are 11 condo communities on Fisher Island. Currently Bayside, Bayview, Marina Village, Oceanside, Seaside Villas and Villa del Mare have residences available. Of these eight communities with homes for sale, the five most expensive condos on the island are located in only two communities: Oceanside and Villa del Mare. Number five on our list is an Oceanside unit. Oceanside, in case you aren’t familiar with it, is a six-building complex located on the beach on the east side of Fisher Island. With 4 bedrooms, 3.5 bathrooms and 5,600 square feet of living space, this Oceanside residence is beyond spacious. It features marble floors and an oversized balcony with direct ocean view. This home is listed at $9,900,000 ($1,768 per square foot). Location, location, location means everything when shopping for a luxury residence and you won’t find a better location on the island than this home at Villa del Mare. Located on the southeast corner of the island the views are unobstructed and the living is quite gracious. 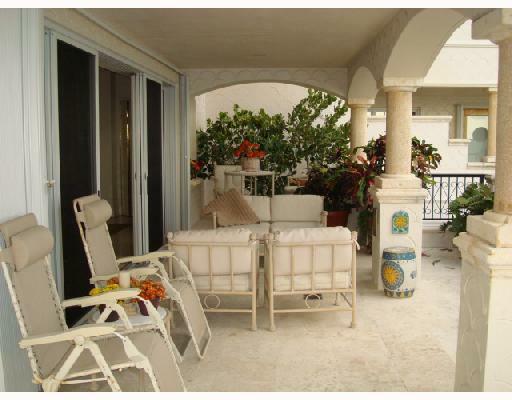 Currently offered is a 3-bedroom, 3.5-bathroom unit with 3,140 square feet of living space. It is listed at $10 million ($3,185 per square foot). 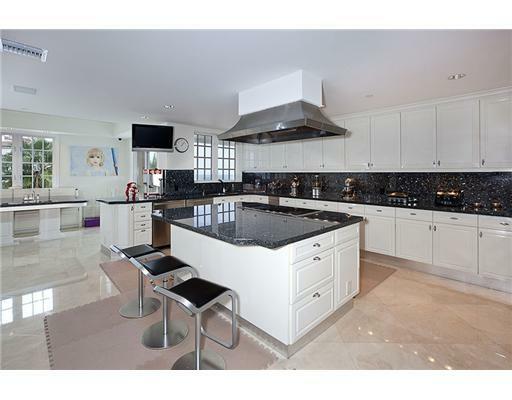 Back at Oceanside, our third most expensive condo on Fisher Island is a center-stack unit. Providing the ultimate in privacy, the unit’s oversized terraces overlook the ocean. This home’s spacious floor plan (6,820 square feet) holds 4 bedrooms and 4 bathrooms. It is offered at $12.5 million ($1,833 per square foot). Sometimes, size does matter. If you’re looking for more room, consider this center stack unit at Oceanside. 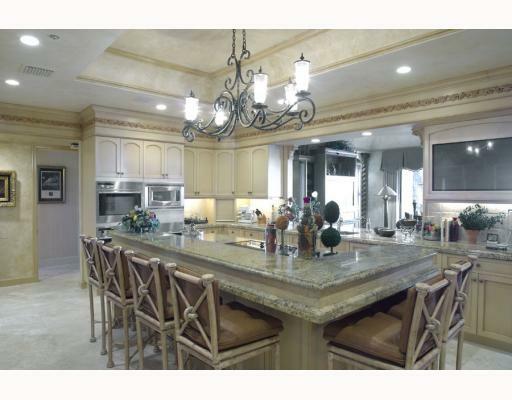 It features 6 bedrooms, 6.5 bathrooms and 6,820 square feet of living space. Marble floors, spectacular furnishings and a state-of-the-art security system are just some of the amazing features of this home. It is offered at $14 million ($2,053 per square foot). More of a mansion than a condo unit, the most expensive condo on Fisher Island has 7 bedrooms, 7.5 bathrooms and 7,300 square feet of living space. Everything is custom, from the gourmet kitchen to the marble floors. The unit includes five parking spaces, two storage units and more. This Oceanside residence is offered at $15 million ($2,055 per square foot).